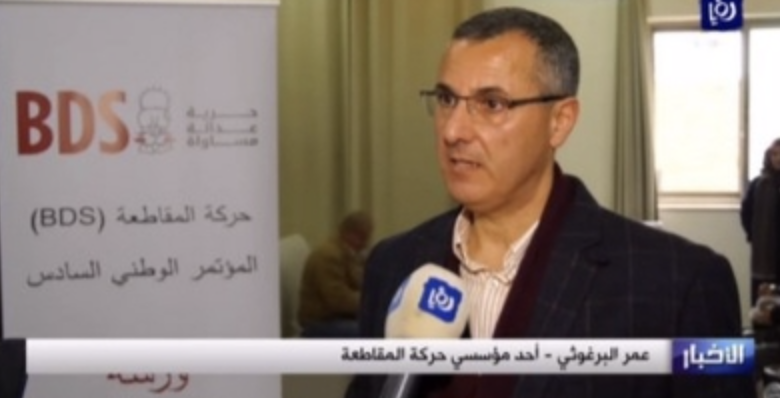 Omar Barghouti – co-founder of the Boycott, Divestment, and Sanctions (BDS) movement – openly supports terrorism against Israelis and calls for the destruction of the Jewish state. Like other BDS activists, he continues to deceive international and western audiences by claiming that the BDS movement is a primarily peaceful tool for protesting Israel. Last month's annual BDS National Committee (BNC) conference in Ramallah was no exception.